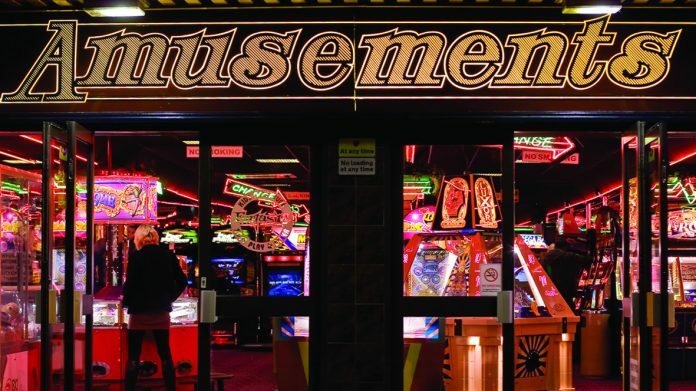 Like many operators, Mark Miller of Millers Amusements believes the government doesn’t have what it takes to do the right thing regarding the Triennial Review. While FOBTs continue to ruin the reputation of the wider industry, Miller is working hard and reinvesting to keep is arcade in ship-shape to provide maximum value to customers. “You’ve got to keep reinvesting, you’ve got to keep reinvesting,” Mark Miller, owner of Millers Amusements said, reinforcing his operating mantra. However it’s not for Miller’s own satisfaction that he invests in new machines for his two Whitby venues, it’s for his customers. “You’ve also got to keep giving the customer as much as you can and make sure they get the best experience possible,” he stated. With EAG on the horizon, Miller is looking ahead to February half-term – the first busy week of the year – and to Easter, although the dates and school terms have not aligned in his favour for 2018. “It isn’t ideal when the kids break up on the Thursday night before good Friday,” he continued. New machines from EAG will be aiding Miller in achieving his target for Easter, however what form these come in will depend on what captures his attention at the show. Video games and redemption are top of the wishlist, with pushers and cranes following closely behind. While Miller aims to have a positive outlook for the year ahead, the Triennial consultation document has been difficult to overcome – especially considering he doesn’t believe the government will act correctly when the final decision is revealed at the end of this month. “The government are just as addicted to B2 machines as the punter, so until the government get off the crack-cocaine of machines – the punter won’t,” he stated. Looking back, Miller recalls the treatment of section 16 machines by the government – stating that they were banned in as little as three months. So why, he asks, has the FOBT issue taken over a decade to get on the table,and now it’s there,why won’t the government act accordingly? “The whole Triennial is a fudge, we’re only looking for a level playing field – that’s all we want,” he concluded.